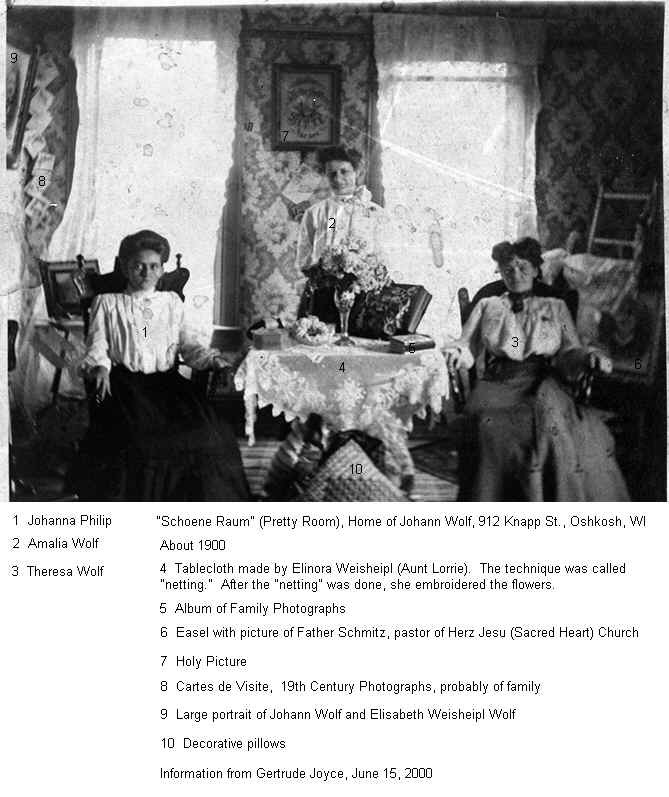 The Johann Wolf family came from Fürstenhut, Bohemia. 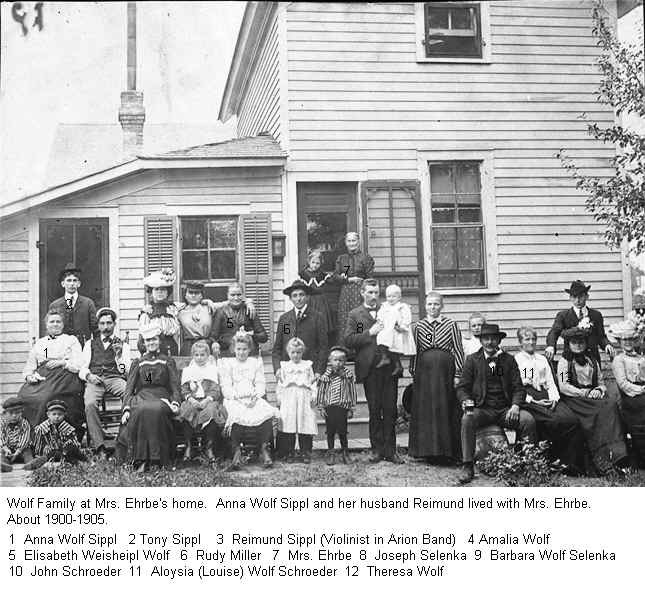 Members of the Wolf family also settled in Aniwa, Shawano County, WI. For more pictures contact John Kraniak. Was born Dec. 1,1843 in Fürstenhut, Bohemia. 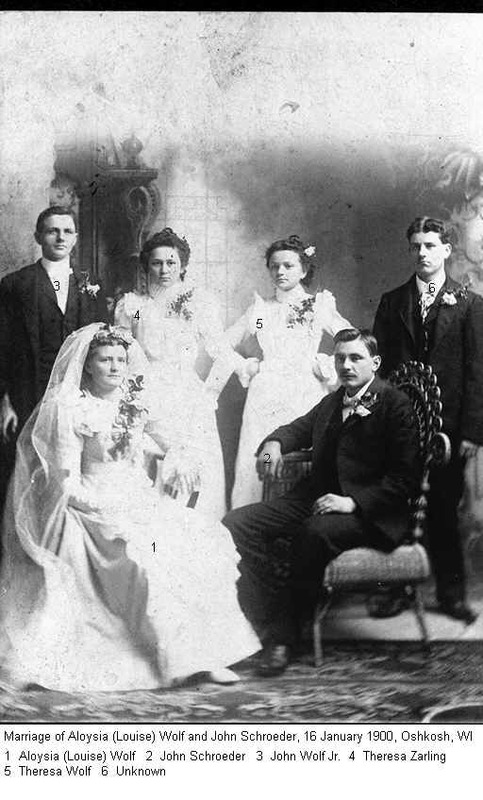 He married Elisabeth Weisheipel in Bohemia June 1, 1874. 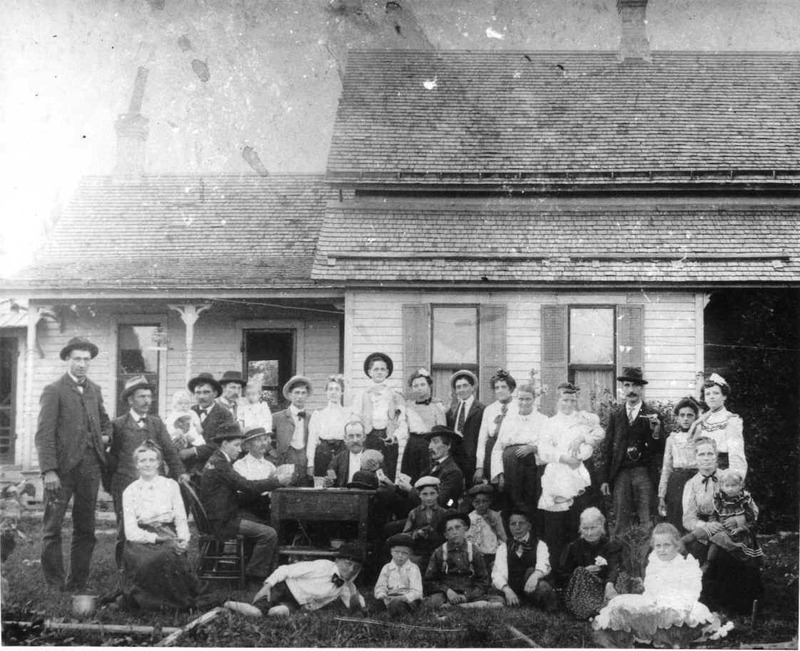 He emigrated to Oshkosh, WI in 1891. He brought with him his wife and children; Barbara, Caroline, Anna, John, Aloysia, Therese, Amalia, and Edward. 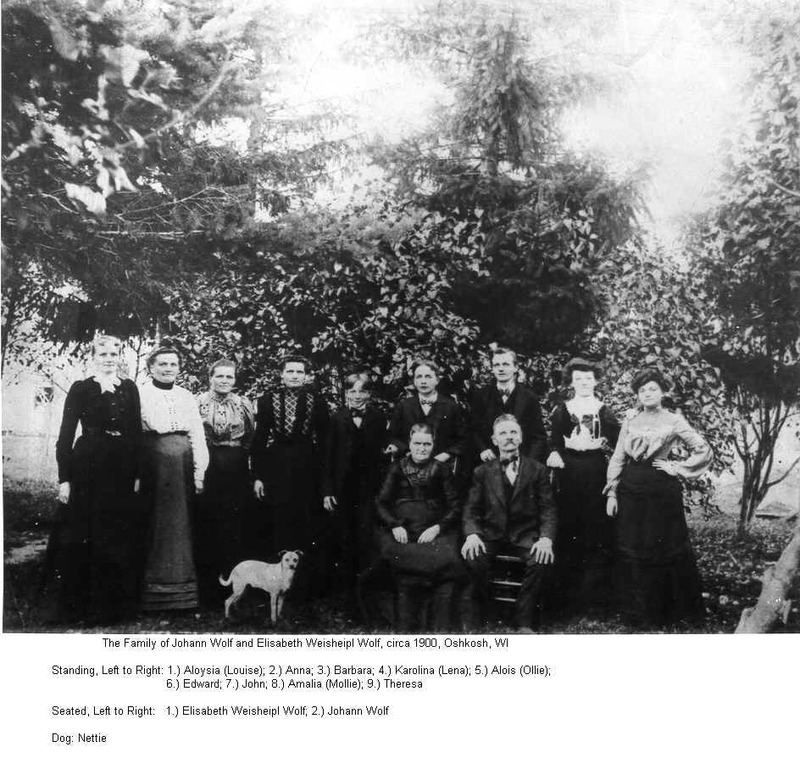 The last child Alois was born in Oshkosh. John was a factory worker at Radford Co. He died Aug. 26, 1923 in Oshkosh, WI.